Did that get your attention? I sure hope so. Who cant use a free spring/summer catalog? How do you obtain one of these free copies? 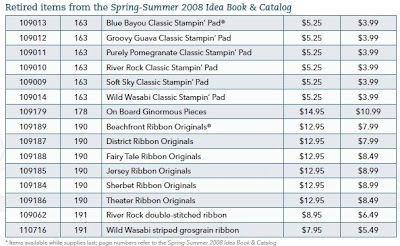 Well you simply order online through my Stampin' Up website and you will receive your free copy with your order. This promotion doesnt start until February 1st and runs through April 30th. For every order you place online during those 2months you will receive a free catalog. So what can you do with all those extras? Share the wealth! Give them to a friend that might be interested in stamping... then book a workshop to get her excited! Hope you take advantage of this fabulous offer! Of course in my spare time I love to stamp and papercraft, but I also love to take pictures. I have been wanting to go to hallmark for a few years now but since I already went to a 4yr college and have to pay my loans back I just cant afford to pay tuition there as well. So in the mean time, I have decided to try and make a little extra money on the side and begin taking pictures for people. I have my first wedding the first weekend in August and I have booked another one for the following weekend. Boy am I excited. I created a website to kind of pose as an online portfolio of pictures I have done. If you could check it out and let me know what you think I would appreciate it. click here to check it out. If you know of anyone looking for a photographer let me know. i would be mor ethan happy to take the pictures. So im sure you have heard that New England was in for a big storm today. Well we didnt get quite as much as they had originally predicted but we did get plenty. I found it amusing when i looked out my window and saw this... a truck plowing the side walk... the picture is a bit blurry as it was taken out of my dirty window, but you get the picture. I have never seen that before.. well not in a town anyways. They used to do it when I was in college but the sidewalks were really wide. Ok anyways... even though I think im getting sick, I have a terrible soar throat (going on 3days), im exhausted and cold and have both boys cause school was cancelled... i managed to stamp today. I did some stuff for my upcoming workshop and then I decided I wanted to make a card. I got inspiration from my uplines card here. She is so talented and a wonderful upline. I like her card much better (in the end I dont really care for the colors I chose) so here it is.... I love how my flowers came out. I used the birds and blooms die for the bigshot to make it. I used the top note of course for the center of the card. Then I just used my priceless stamp set (which I absolutely love and never use) along with some chocolate chip taffeta ribbon. I used to scallop edge punch (well worth 15.95) on the chocolate chip and thats kind of it. My colors were baja breeze, so saffron, chocolate chip, and pink pirouette. well thats all for today. dont forget to rsvp for opportunity night. its free so you have nothing to lose and everything to gain! Have you looked at our new catalog yet? Have you seen all the WONDERFUL new accessories? I absolutely love the new buttons. I'm going to make it easier for you to try a variety of items and colors with out having to buy an entire package of each product. I can't wait to get my hands on these beautiful corduroy buttons and brads. There are 6 different colors and 3 different styles of each color if you where to buy all 6 packages of buttons it would be $68.70. I'm offering you 2 of each button in all 6 colors for a total of 36 buttons for $17.18. What a great way to try out each color and see which ones you would use more of.Each Corduroy Button Club will consist of 4 people and once the club is full I will order the buttons. If the first club fills up I will start a 2nd club. IF you would like double the buttons just sign up for 2 club spots. The colors of the buttons are: Kiwi Kiss, Chocolate Chip, Kraft, Pacific Point, Pumpkin Pie, Summer Sun. Shipping will be $4.95 for a flat rate shipping priority box. If you local and can pick them up then no shipping applies. 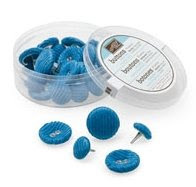 Aren't these designer buttons just adorable! This club will consist of 3 people. Each club member will receive 1 each of 20 different buttons. You will receive one of each button from both color families, both the button latte and the button bouquet for $6.10 per person. If you would like more then one of each button just sign up for more then one club spot. Shipping will be extra, it will go out in a flat rate priority shipping box for $4.95. Local people can skip the shipping by picking up your products. 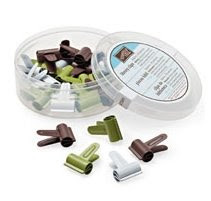 These 1/2 library clips are so cute and the color selection is very nice! This club will consist of 4 people. Each person will get 2 clips in each color. The colors are Old Olive, Chocolate Chip and Whisper white. So you will get a total of 6 clips for $1.92 per person. If you want more clips just sign up for 2 slots. Shipping will be $4.95 and will ship out in a flat rate priority box. If your local and can pick them up then no shipping fee is required. These clubs are open to anybody in the US! Shipping can be combined for entry in more then one club. I can fit all of the clubs into one flat rate box. So save your self on shipping by ordering more then one club. Buttons and clips will not be ordered until all spots of a club are full. Once the club is full I will order the products and ship them out to you as soon as they com in. I will take cash (if your local) or check, money order and I'm working on credit cards! Please e-mail me at laurafiske89@comcast.net or call me at 413-863-8328 to take part in any or all of these clubs. You are invited to come see how much fun it is to be a Stampin Up Demonstrator. We have so much fun and being a demonstrator has so many perks. Come learn all about it. This event is free and bring a friend with you. We will be watching a short video, answering any questions and of course STAMPING. Anybody who joins my group of demonstrators "FOR THE LOVE OF STAMPS" that night will receive a goody bag of Stampin UP products from my oh so fabulous upline (angela) as a thank you gift. During Sale-a-bration (FEB 1st - March 31st) anybody who signs up to be a demo, also receives a FREE extra stamp set of your choice from the catalog. HOW COOL IS THAT! So come get your questions answered and see if it's something that would be right for you! This is event will be held in Gill on February 3rd from 6:30-8:30. Please RSVP by February 2nd. Contact me for directions. Today is the big day! 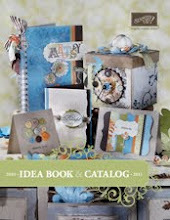 The brand new Stampin Up catalog is here and you can start ordering from it at 2:00 pm est today! Stampin Up has announced that anybody who places an on-line order will receive a FREE copy of the catalog with their order how cool is that! So after 2:00 pm est time today, go over to my website and click on "shop now" to order your new products and get a free catalog! If you have any questions about this promotion feel free to ask! You can view the new catalog by clicking on my link to the right. You should also check out those new decor elements if you havent already. They are Fabulous! and dont forget...Sale-a-bration is coming up soon so book your workshop with me to take advantage of all the benefits! 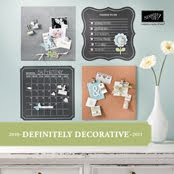 Stampin Up has announced their third phase of Decor Elements, Stencils! How great is it that you can not only stencil them on your walls, but on everything else. Talk about an easy and cheap way of decorating! 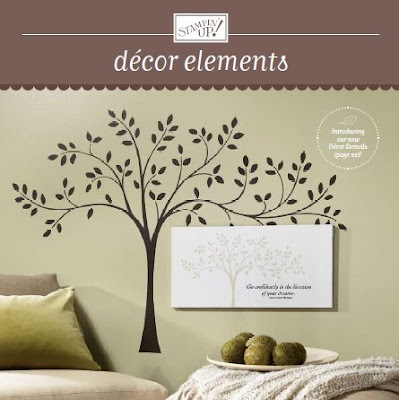 To view the new decor elements brochure click on the picture above. We have some fabulous new designs so even if your not into the whole decor elements thing you should check them out. Ya never know.... you just might fall in love with them! 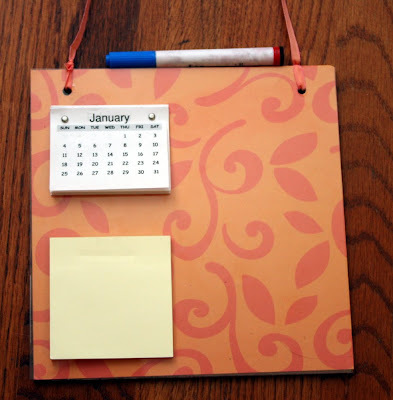 Stampin Up has posted their retiring accessories list. These items will only be available while supplies last so get them while you can. Everything goes fast when its limited. You have until the 17th to order any of the products that are retiring. If you spend $20 or more you can save 20% on any stamp set in the catalog sampler as well. To view the Retired lists check out my links on the right. You can also view other current promotions that are going on. 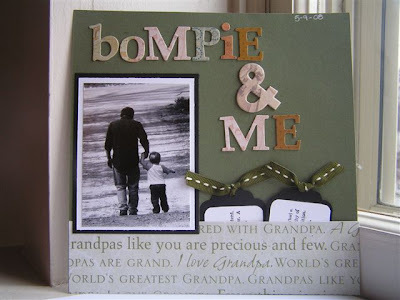 Stampin Up has done it again. They are offering an Inventory Blowout with a selection of retired, retiring, and current products for up to 50% off the regular price. To see the full flyer click on the heading above or on the link to the right. All products are only available while supplies last so order now to be sure you get yours! This is one of the pages that went in the scrapbook for my mother in law. Its a picture of my son Wesly and my father in law (aka Bompie) goin for a walk. This is her favorite picture of them. It kind of reminds me of the Andy Griffith show when they walk down the road to go fishin or something. The pull out tags have definitions from the define your life stamp and tthe grandpa papers came from michaels. Im not so sure I like that dsp on this page but it was kind of all i had lyin around here that matched and was guyish...and it needed somethin. So thats my post for the day. Hope you had a great new years! My new favorite thing to make... I call them noteboards. Im sure Im not the first person to think something like this up but I will say I was awefully proud of myself when I did. I found these boards at the dollar store and grabbed a couple for my neices to use for a craft project. I of course also bought one for myself but had no clue what I wanted to do with it. Well we were working and then it came to me.. why dont I make it a dry erase board. My house is in some serious need of organization as far as remembering things go. So I covered it with some DSP I had and added a transparency. then it was done, but it looked terribly plain. So I added a post it note pad- that way I could bring the reminder with me if I needed. Still a little plain so I added the tear off calendar since we cant seem to keep a calendar in my house. Then it was done. The all in one noteboard. I need to get some dry erase markers then I will add a holder for it and some magnets so I can hang it on my refrigerator. It does hang, but if I hang it up my boys will get it off the wall and destroy it. Thats all there was too it. I was thinking it would be perfect with the calendar stamp set SU has, but I dont have that one so I just printed one off and cut it. It works for me. What do you think?